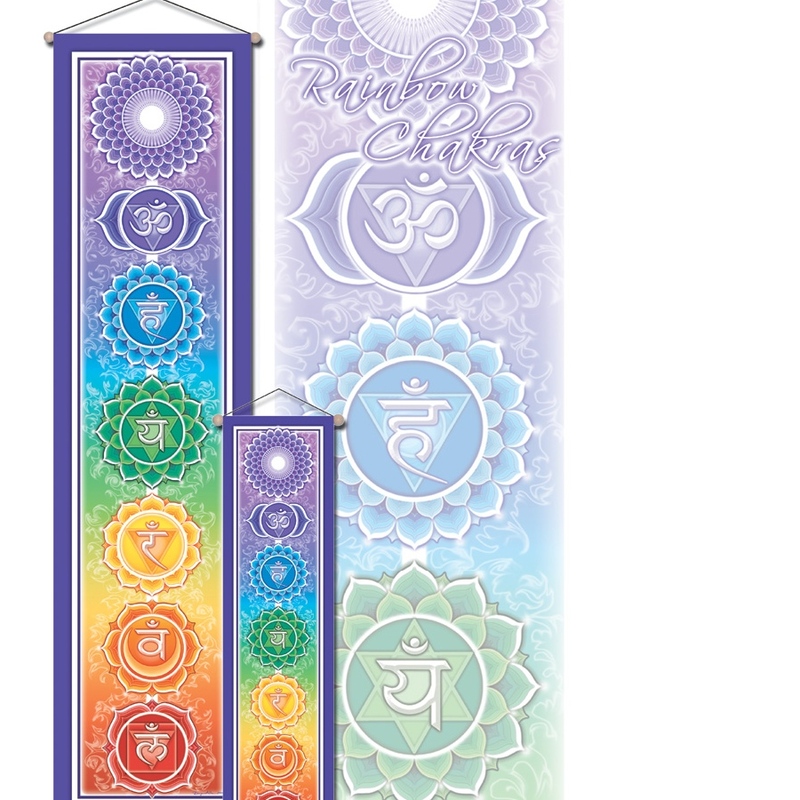 These Chakra Banners are beautiful and silky-soft, printed in full vivid color on sheer, flowing knit polyester. They look like silk, but are durable and long-lasting, and great for indoor or outdoor use.They have a decorative wooden pole at the top and bottom, and a string for easy hanging. Order your chakra banners online. You will be transfered to a secure site for credit card processing.